When you have teams across the globe in Europe, Asia and America, it can be very difficult to keep track of all the marketing campaigns, events, and initiatives that are happening. 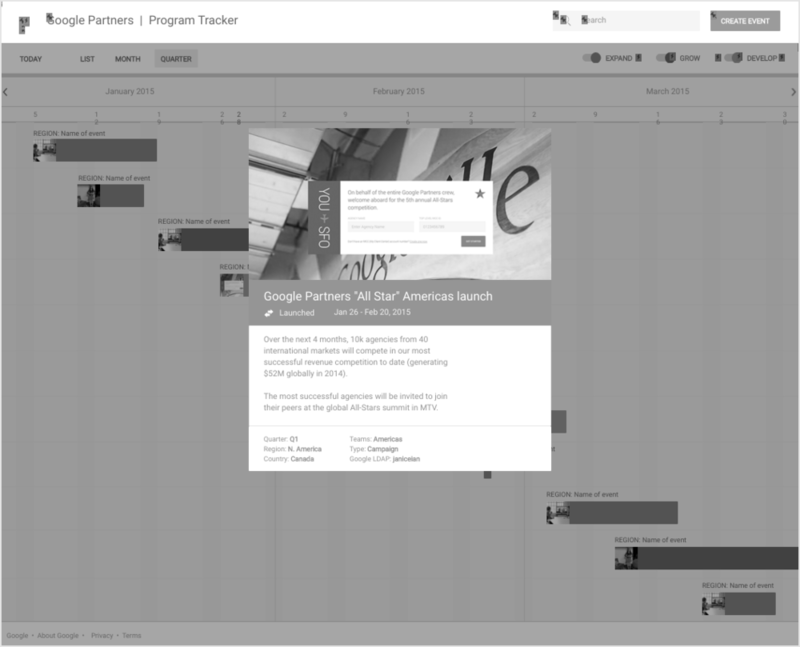 The Google Partners Activity Tracker has connected global teams and ensured that they are all aware of what's going on in order to improve team collaboration and efficiency. 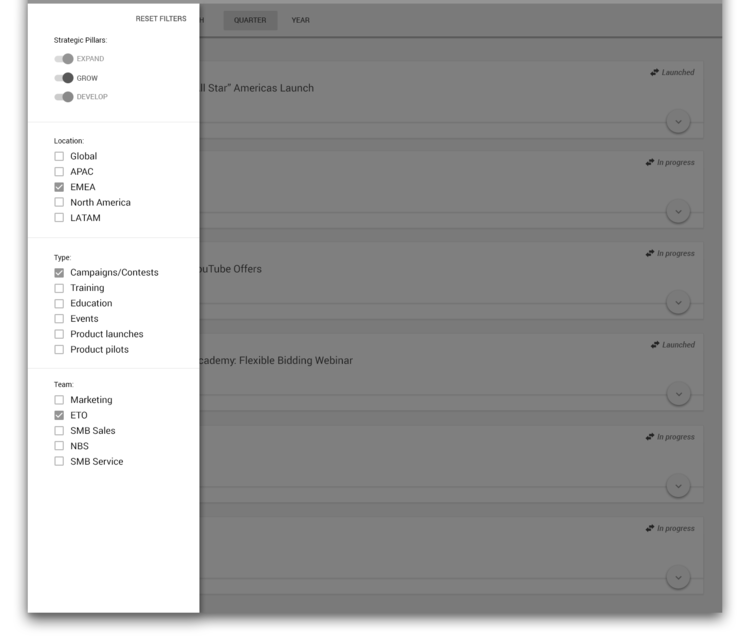 The Google Partners team needed a solution to keep global teams on the same page and aware of campaigns and events going on around the world. 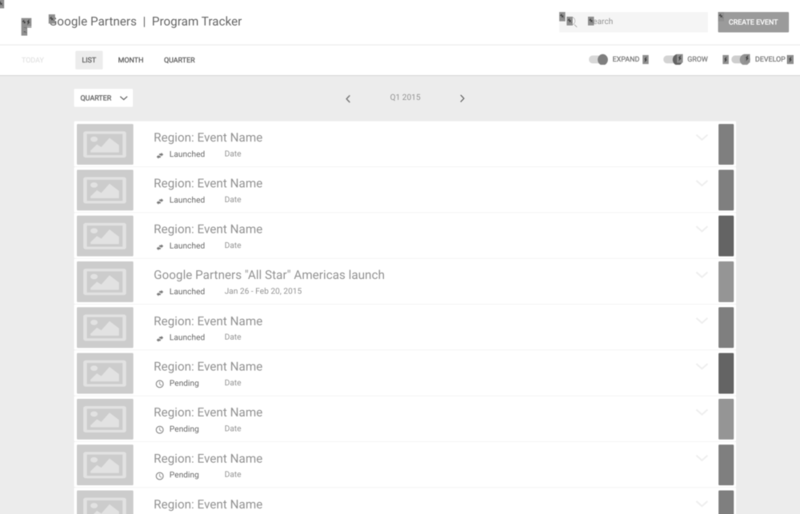 In collaboration with Google Partners Marketing Managers, Epsilon created the Google Partners Activity Tracker: An online tool where appointed users can input relevant data and program members can view campaigns and events around the globe.